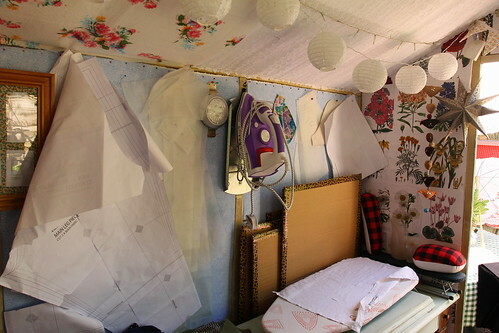 Lazy Seamstress: My little space at the bottom of the garden. 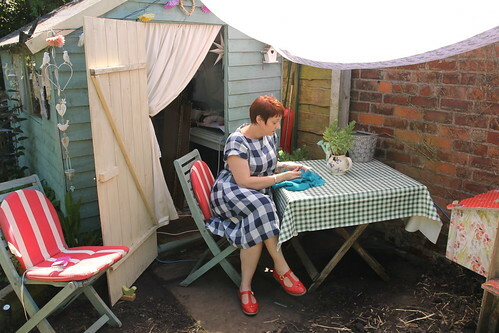 It was two summers ago that I moved into my little sewing shed at the bottom of the garden. I love my space, it's changed a little from that first summer, it's much more cluttered now, although everything has a home. 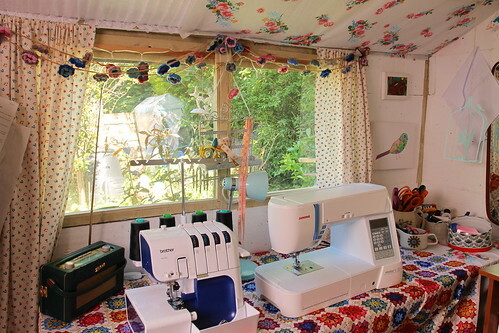 I now have a hotch potch of tables running around the edge with enough space for my overlocker, sewing machine and all my other bits and pieces. I look out onto the vegetable garden, where I can spy on the local wildlife. The squirrels hop about on my roof and the magpies play their games on the fence and in the trees. The local cats even pop by and say hello. During the winter I let the chickens earn their keep by digging over the raised beds, and sometimes they peck at the shed door, or bob their heads in. My pressing area is atop my treadle machine, small but perfectly adequate for most things. 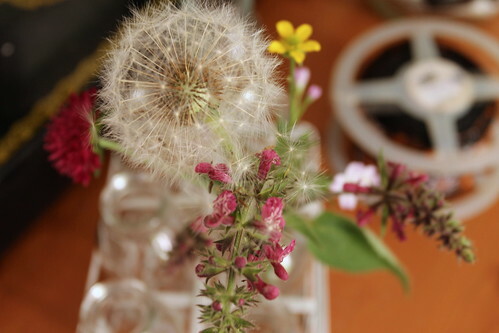 Of course summer is here and I can extend my work area outdoors on fine sunny days. I love it out here so much, that I often dream of a shed extension...just got to talk Woody round...one day! 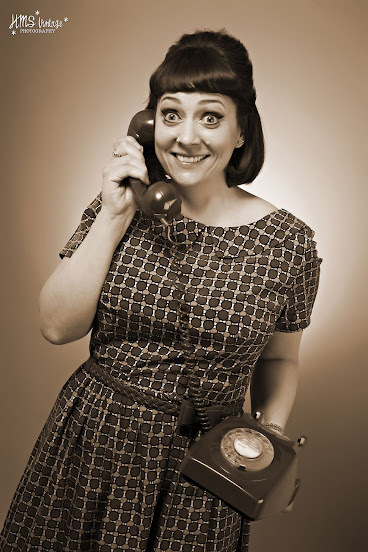 I love your sewing shed!!!!!!!!!!!!!!!!!!!!!!!!!!!!!!!!!!! Looks idyllic, don't you freeze in the winter though? 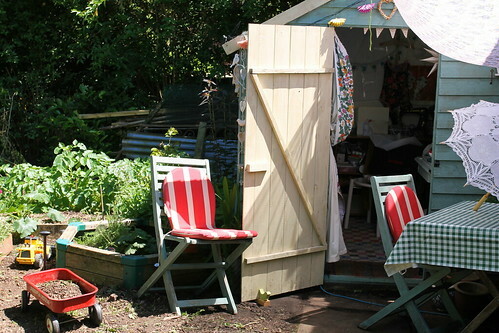 Louise, the shed is insulated with polystyrene boards ( great for sticking pins in! ) and I have a little heater, it's very cosy in winter. Oh what a lovely space! 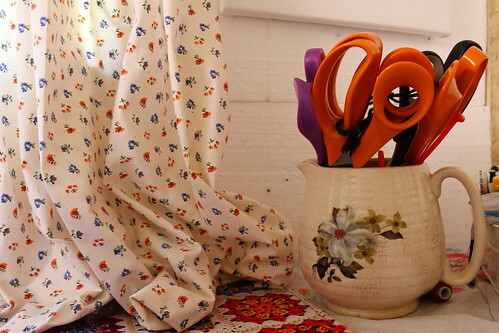 I've never seen a sewing shed before but what a great idea! Divine. 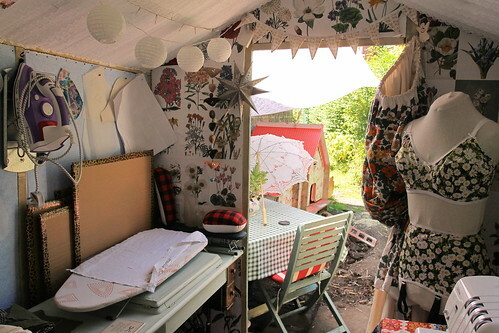 It's like an enchanted sewing fairy cottage! 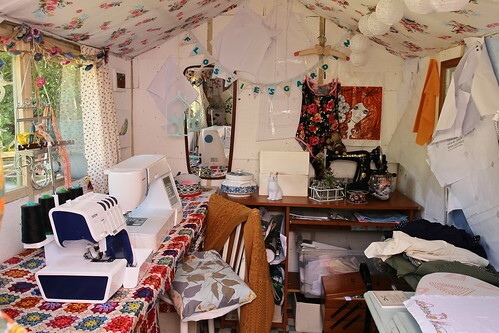 hi I love your sewing shed, I am going to have a shed built later this year for my sewing, means we can then eat around the dinning room table again lol. 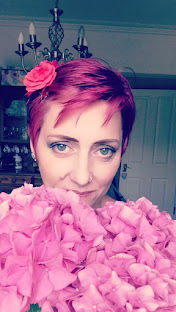 You have lots in your shed may I ask the size of it, the one I am getting is 10ft x 8ft so just wondering if its going to be big enough.